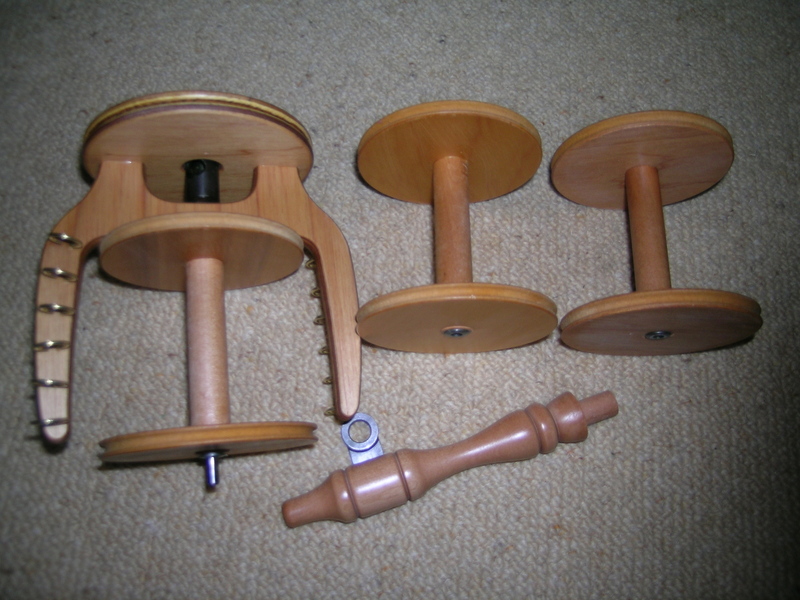 I just got a new (barely used) jumbo flyer and 3 bobbins for my spinning wheel. This will allow me to spin yarn and fill 2 or 3 bobbins, and then ply (twist together) those single yarns into a 2 or 3 ply yarn without having to have small skeins. Prior to this, if I had 2 full bobbins, I would have had to split the skeins in half to get them to fit on one regular sized bobbin after plying. 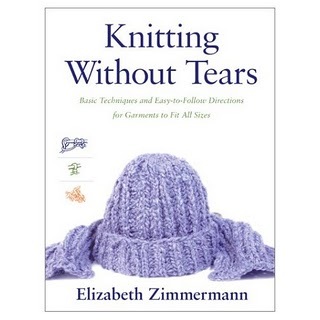 And I do hate to have ends when knitting. 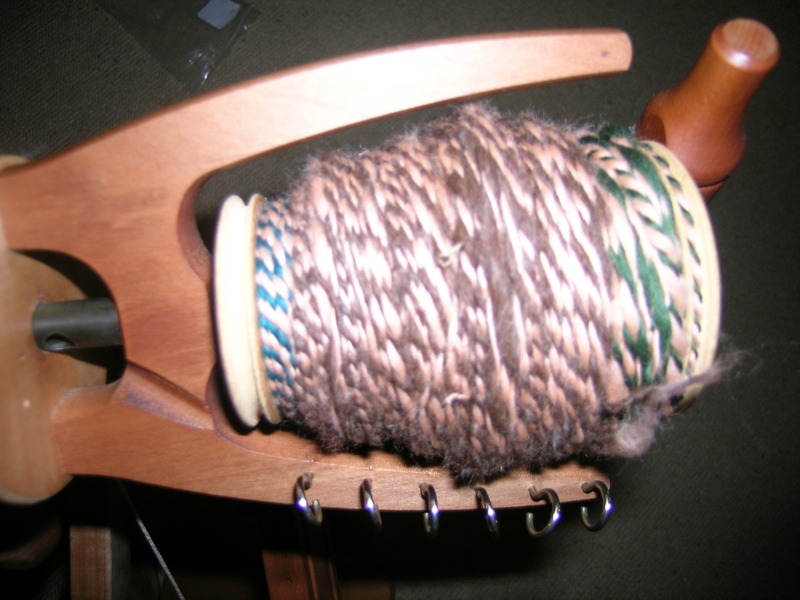 I will try plying my yarn that I spun last week soon. 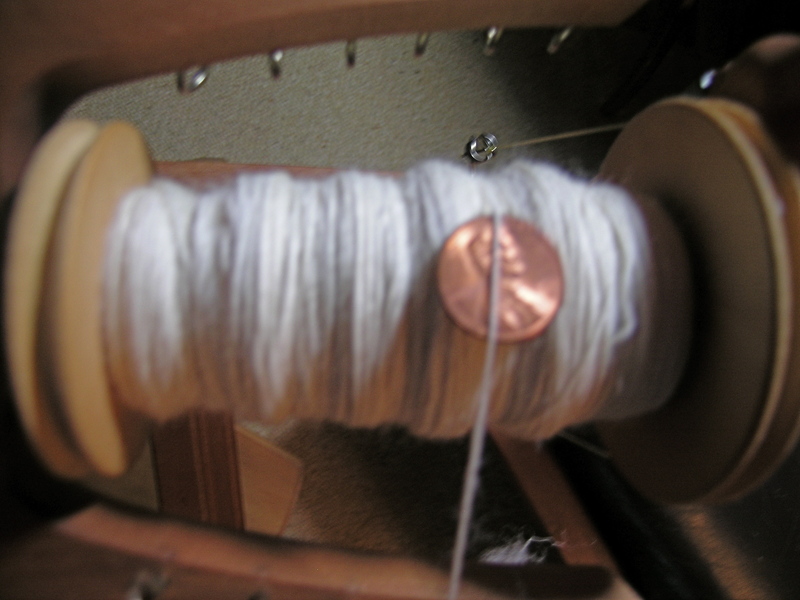 First I need to finish spinning on this bobbin. The fleece is 70% Navajo Churro Sheep, 30% Alpaca. 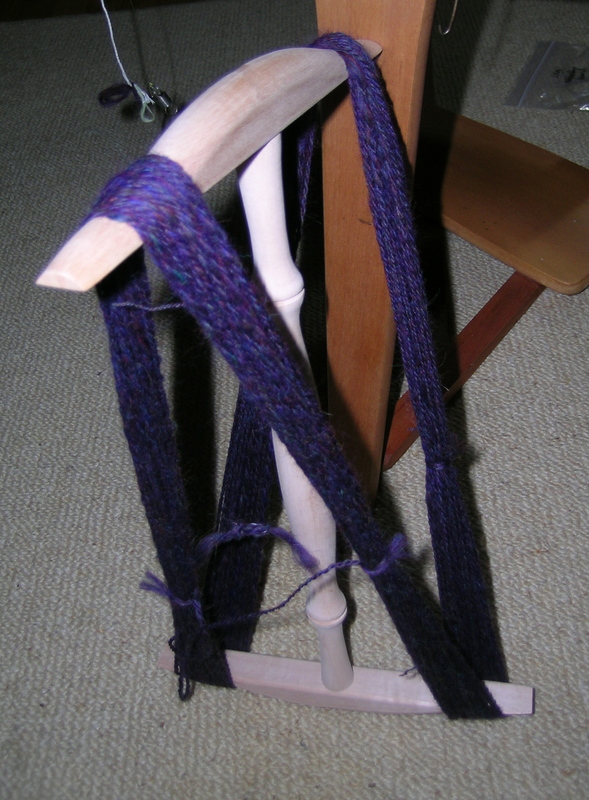 I bought this about a year ago when I took the drop spindle class (which I never got the hang of). 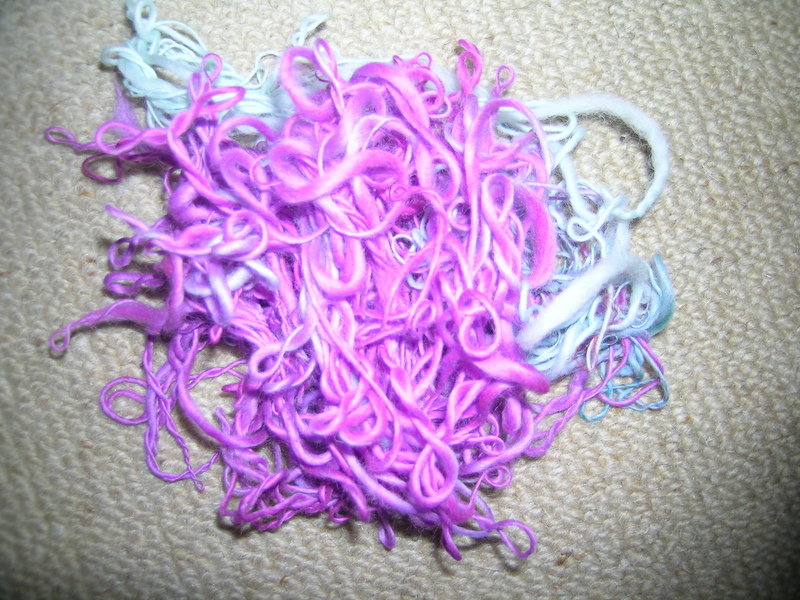 I bought 2 balls of roving, and thought that they were the same as they looked fairly close. But the other ball is 100% Churro Sheep. That should not be a problem, as I will ply them together for a 85/15 ratio in the finished yarn. The Churro sheep is very different to spin, coarser and kinkier. Not difficult, just different. I think that it will make good mittens, the yarn is spinning up a lovely grey with black flecks in it. It is fun getting a feel for the different fibers and how they work up. I cast on last night for The Gardener socks. I think that these are so cute, and have been wanting to make them for quite some time. 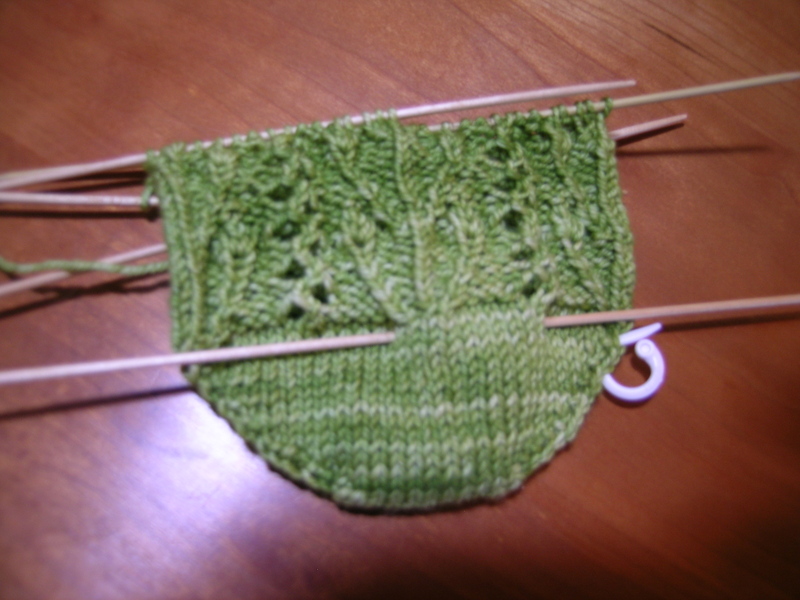 I am using Malabrigo Sock yarn, color Lettuce. How appropriate for a sock labeled “The Gardener“. If you are not familiar with this pattern, watch as I progress. They are so fun. And, making progress on my mystery project. I will show you it in its entierty after Christmas. Spinning is progressing nicely, but I have missed knitting as much lately. I hope to have enough yarn spun shortly to make myself a pair of mittens. Happy Thanksgiving to everyone. I hope that you all had a day filled with good food, good friends, and health and happiness. Manning, so much for the beginning spinners bulky yarn. What a difference a week makes. Now you will have to wait until I have even better control to make a bulky yarn at will. These shelves just got finished today in the laundry room. 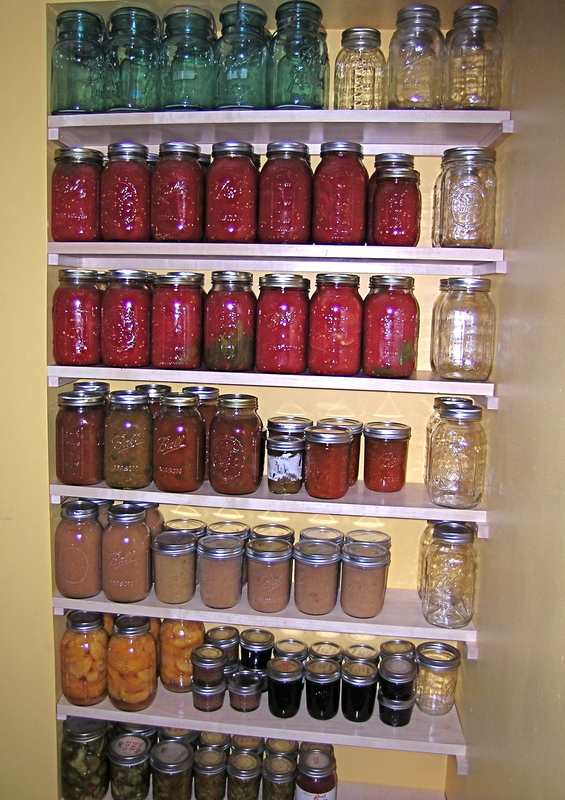 Plenty of space to increase my canning next year! I am so excited about them. Almost as pretty as a wall of yarn! Beautiful! Tonight we opened Grandpa’s sauce and ate it on steak. Delicious. Also, I am loving the second shelf from the bottom as I assume that is Berwyn Grape Jelly. Yup! That is definitely Berwyn Grape Jelly. Hopefully the harvest will yield even more jars next year. Can I come swipe a few jars of your canned yummies lol. My first mini skein that I will actually want to knit with. I ended up with 72 yards of a beautiful yarn. 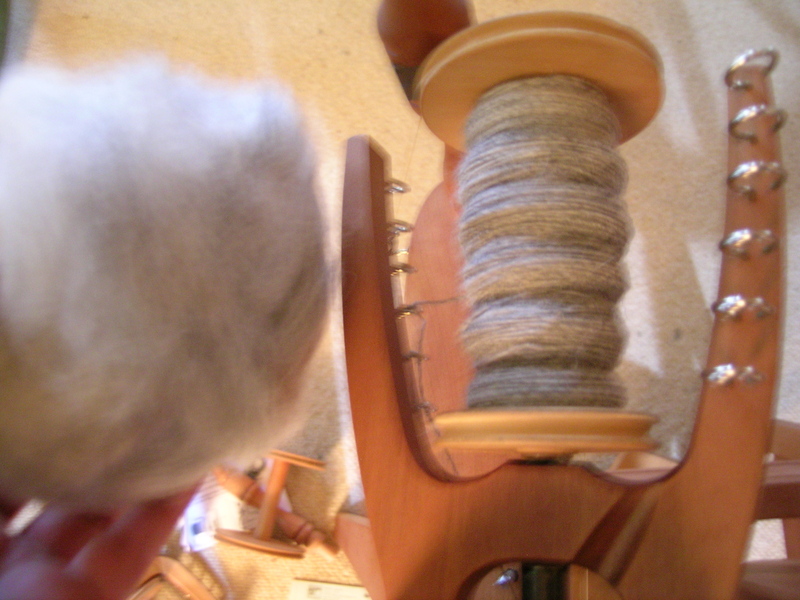 It is still a bit fluffy at a couple of points, but this definitely defines a turning point in my spinning skills. 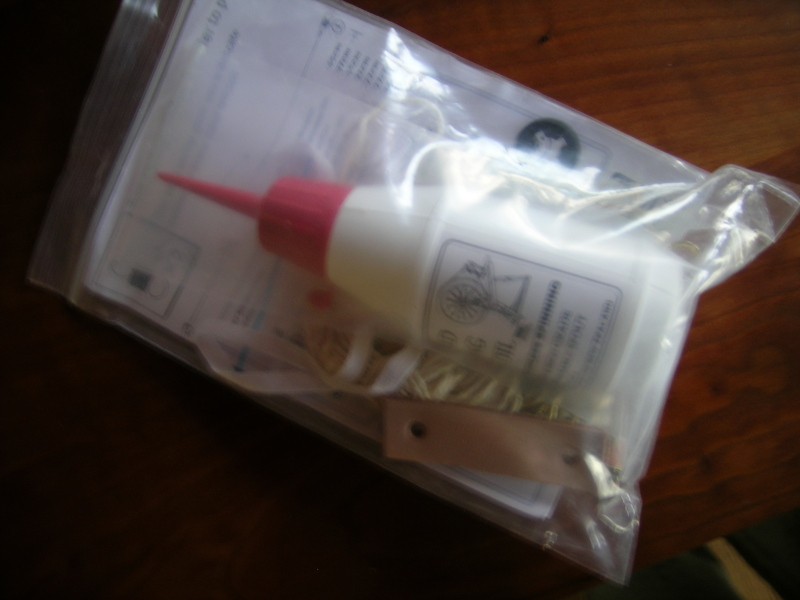 I received a sample (1.5 oz) as part of a gift trade through Ravelry from my birthday “twin”. This is Ashland Bay Colonial, color: Burgundy. 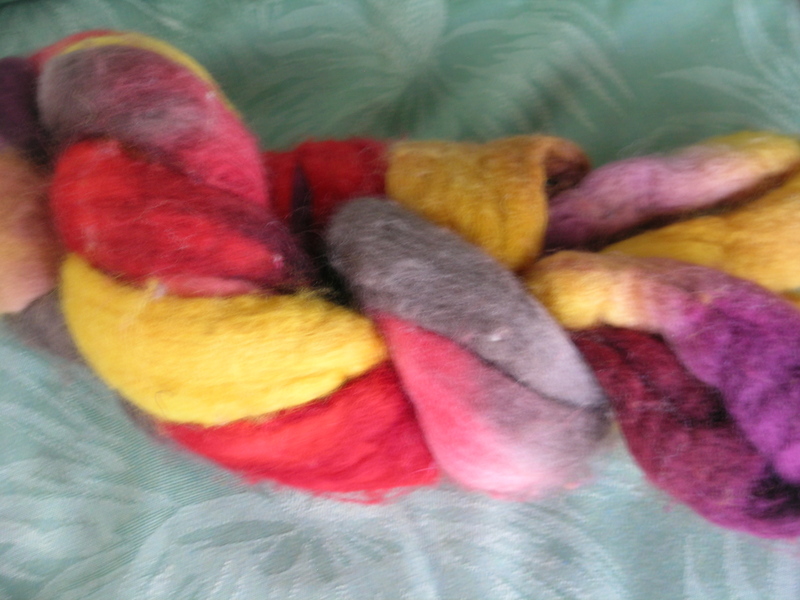 Described as follows: This fiber is very similar to Corriedale. It felts well and is available in color blends that are incredibly beautiful: Red, Green, Blue, Teal, Purple, Navy, Burgundy, Dark Green, Blue Green, Northern Lights, Agate, Mahogany. 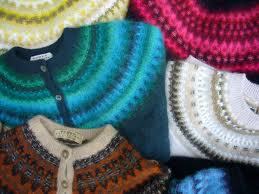 I love the colours – I’m sure you’ll enjoy knitting with your own yarn. 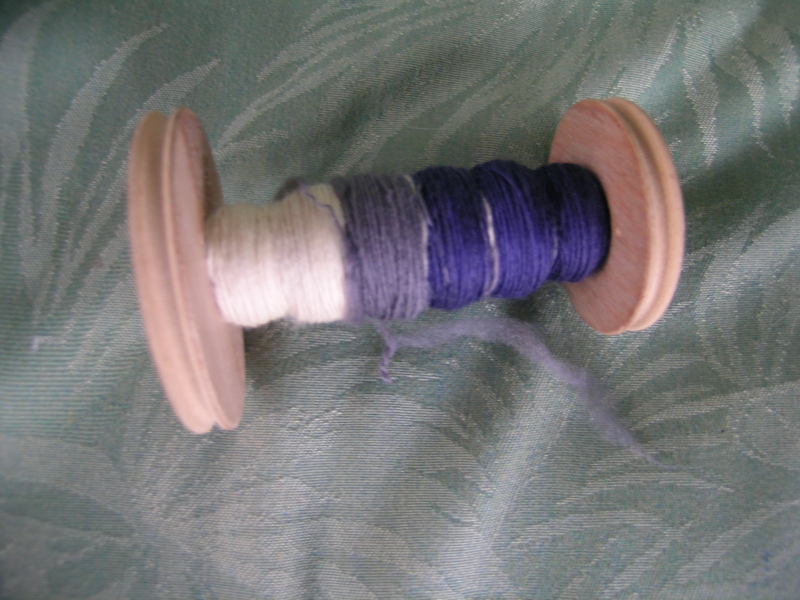 I have a question – I’m not a spinner, but a couple of people in my Knit and Natter group are, and they have been borrowing/lending a gadget like you have in your photo, to wind the spun yarn into a skein.. Apparently, round here it’s called a niddy-noddy, but we don’t know if that’s just local. What do you call it? lovely yarn, and truly beautiful colours! What are you making from it? 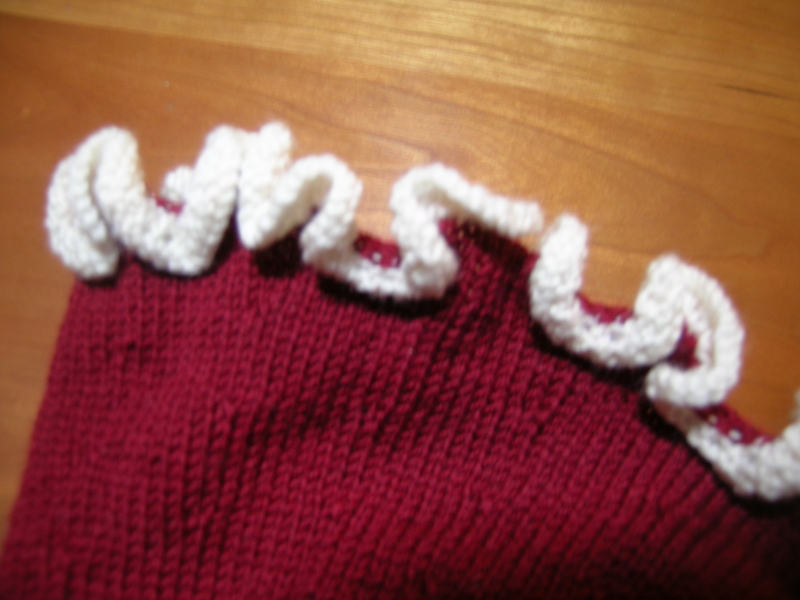 I think that I am going to make myself a pair of mittens with my handspun. 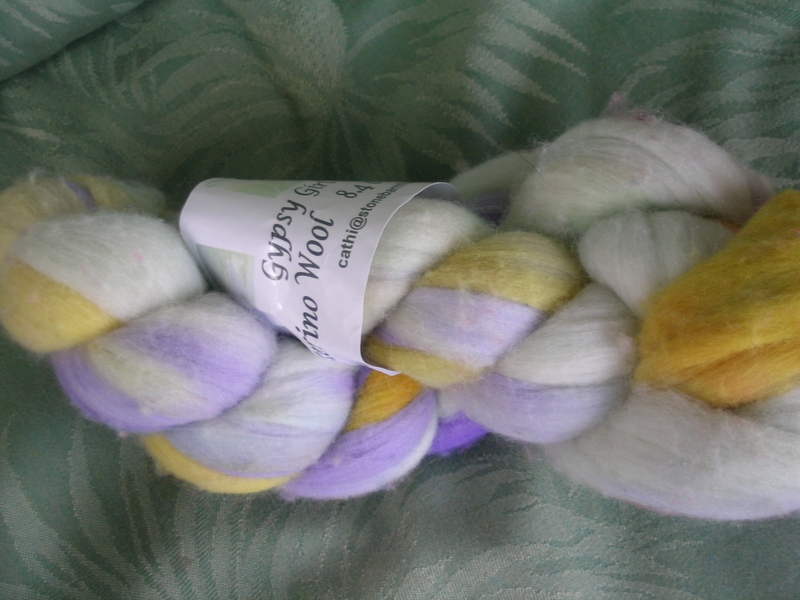 There is not a lot of this, and some other stuff that I have recently spun, so I will use them for the colorwork accents. 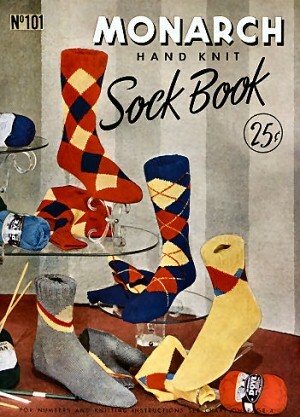 Yes, we call it a Knitty-knoddy, or Knitty-Noddy here. Same thing. Seems like people have the same sounding words, just different spellings. 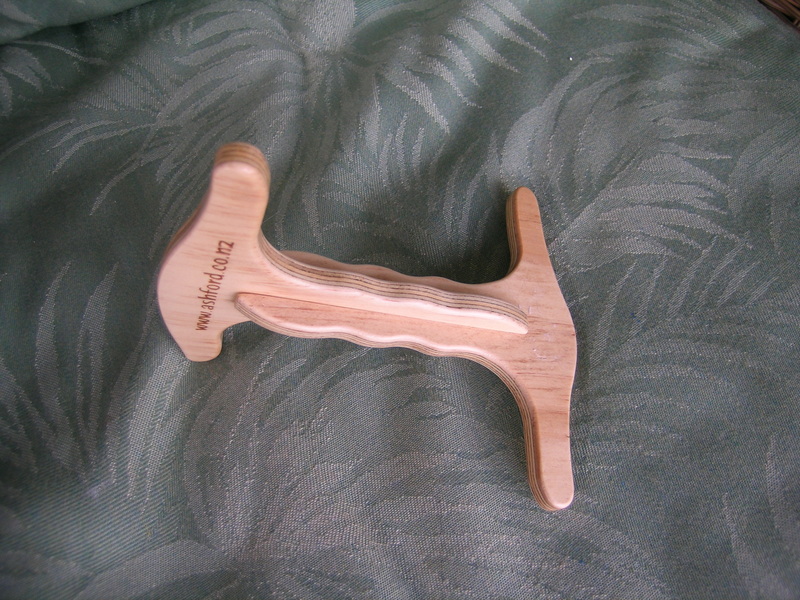 You can also use this when you unwind a sweater to reskein the yarns, it lets them relax back into shape. “It’s not really a grandmother’s knitting any more.” This is a recent quote to the media from a yarn store owner. I am not quite sure why this bothers me so much. 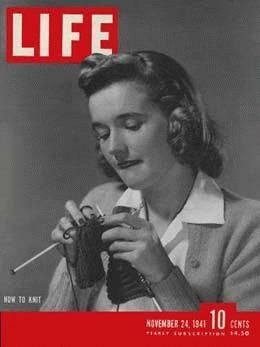 Perhaps because knitting was pretty fantastic prior to this recent surge, albeit not as popular with the general population. 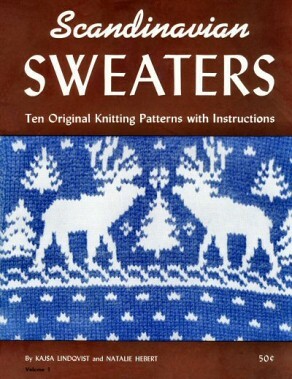 I think that “Grandmother’s Knitting” was pretty advanced. Think Barbara Walker, Elizabeth Zimmerman, women knitting for soldiers during the Great Wars. I will take those “Grandmothers” any day over a current hot designer. That is not to say that there are not some amazing new, young and older designers out there. I guess what bothers me is the idea that just because you recently discovered something does not mean that quality did not exist prior to your eyes being opened. Instead of demeaning past efforts, why not embrace them. So, here is to my Grandmother, yours, and all of the amazing knitters who passed on their knowledge so that I did not have to start from scratch, and can build upon that foundation. Thanks to my Grandmother, and all the Grandmothers who knit with love, determination, and design. I hope one day I am appreciated as much. You might like to look at this Youtube video – it’s a British ad for breakfast cereal. http://www.youtube.com/watch?v=lRuiQrpXpG0 It obviously makes use of the idea that knitting is something that grandmothers do, but you are also supposed to understand that they do it better than anyone else. That is too cute! Thanks for sharing. There is a fellow blogger whom I follow that is also a new spinner. She actually got her wheel about a month after I did, only took one class, and already has improved way beyond me. So I decided that drastic measures were needed. And drove 60 miles to The Fold in Marengo, Illinois. I had called a couple of days prior to ask Toni Neil, the owner, if she would be able to check out my wheel, and if she had the repair kits and parts that I had been looking for. Her answer was to come on up. 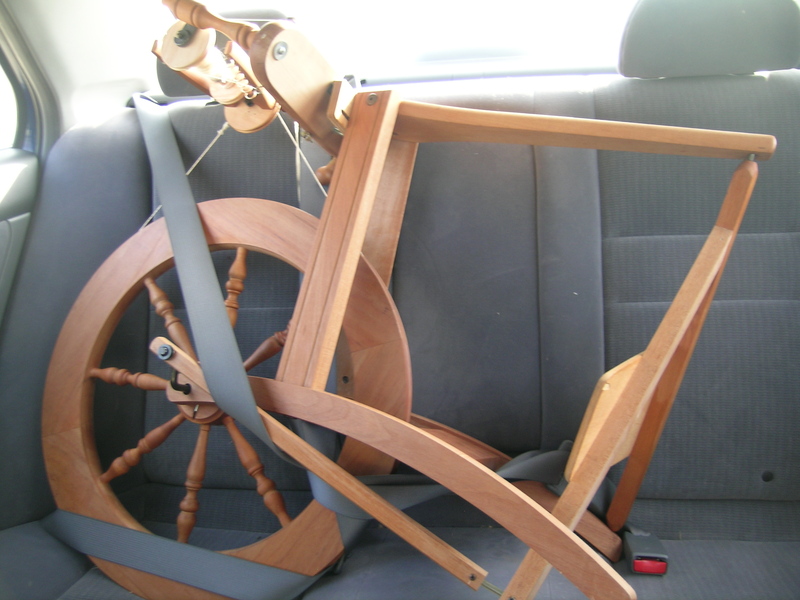 So, I drove up to what appeared to be a simple Ranch house, but inside was a spinner’s dream, many brands of spinning wheels, drum carders, drop spindles, roving and top (both natural and dyed), books, videos, knitty knoddy’s, and all the repair parts a spinner could need. And lots of yarn to boot. And more fiber, now that I feel confident. 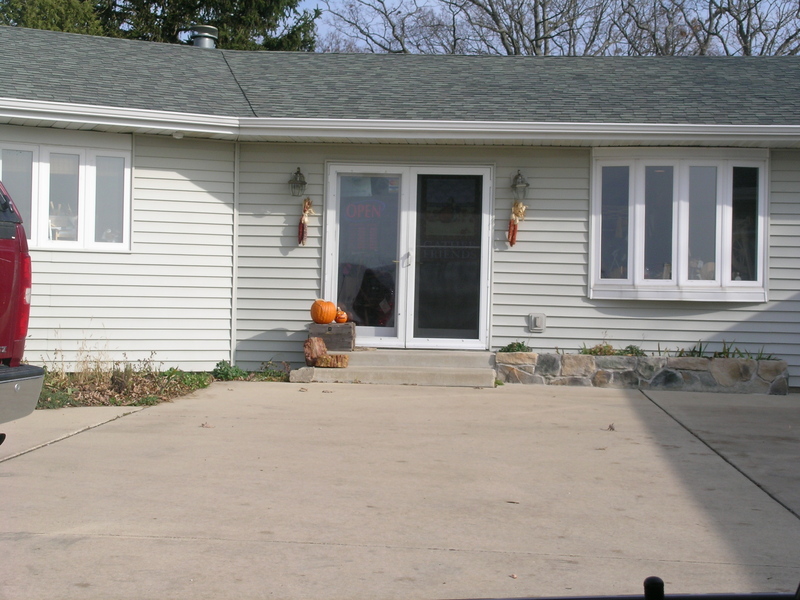 This is from Blue Moon Fiber Arts. While I have not been a fan of their sock yarns, I love the colors of their dying. 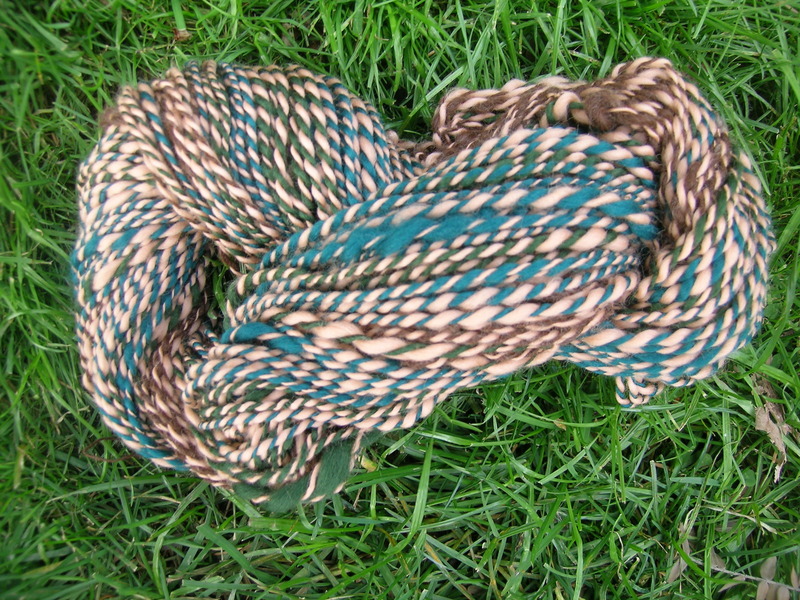 I recently found out that they dye roving, so this was something that I wanted to try. I am still not sure how to predict what the colors will look like. 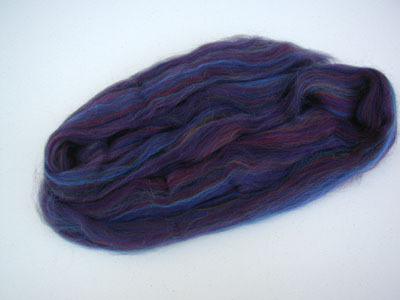 This is 100% Blue Face Leicester; Colorway: Basan; 8.75 ounces. Gypsy Girl creations Merino Wool, 8.4 oz; Colorway: Iris. This was on sale, so I couldn’t resist. 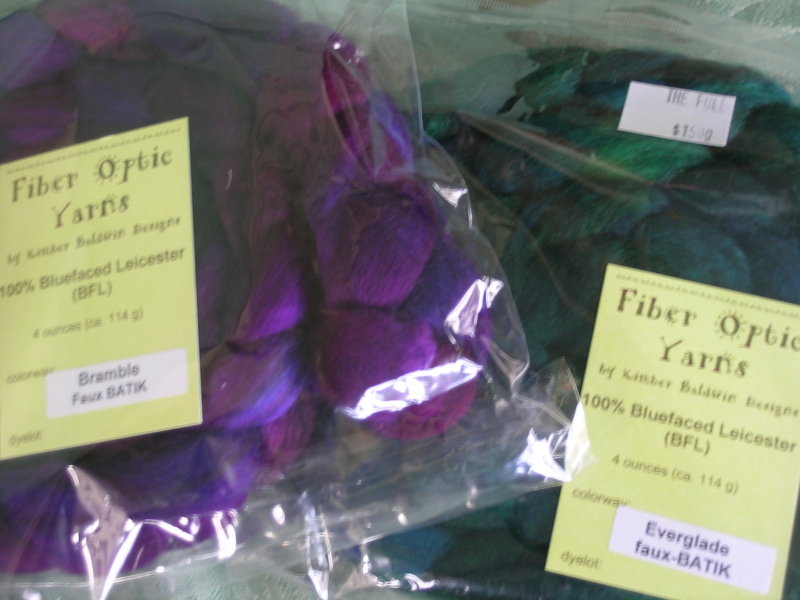 And these are by Fiber Optic Yarns; 100% Bluefaced Leicester; 4oz. each, which I plan on plying together. Bramble and Everglade, beautiful tonal colors. And then, a gift from Toni, a small collapsible Knitty-Knoddy. We figured that it was 24-25″ per round. I can’t wait to see what your pretty fiber looks like all spun up. Seeing your wheel makes me wish I had one or even at least knew how to spin on a spindle lol still haven’t figured it out yet. 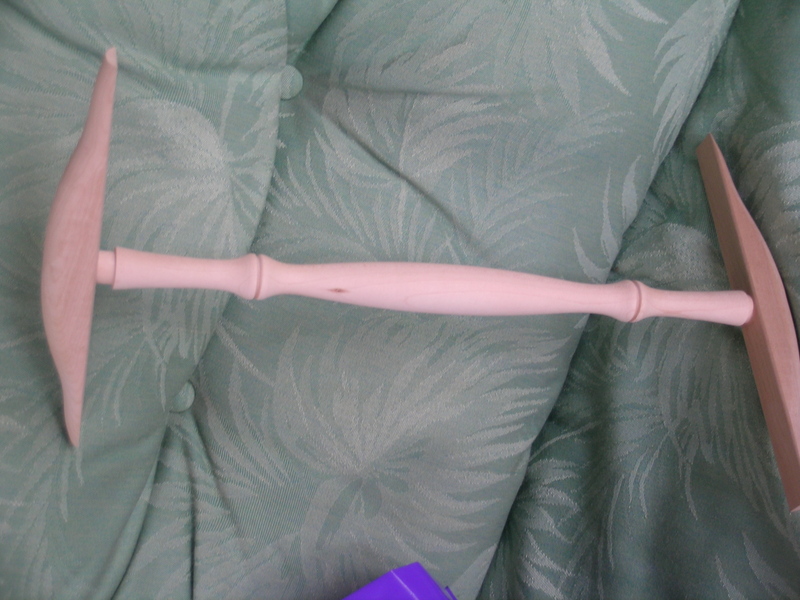 I tried the spindle first, and could not get the hang of it. I think that the spinning wheel is so much easier. 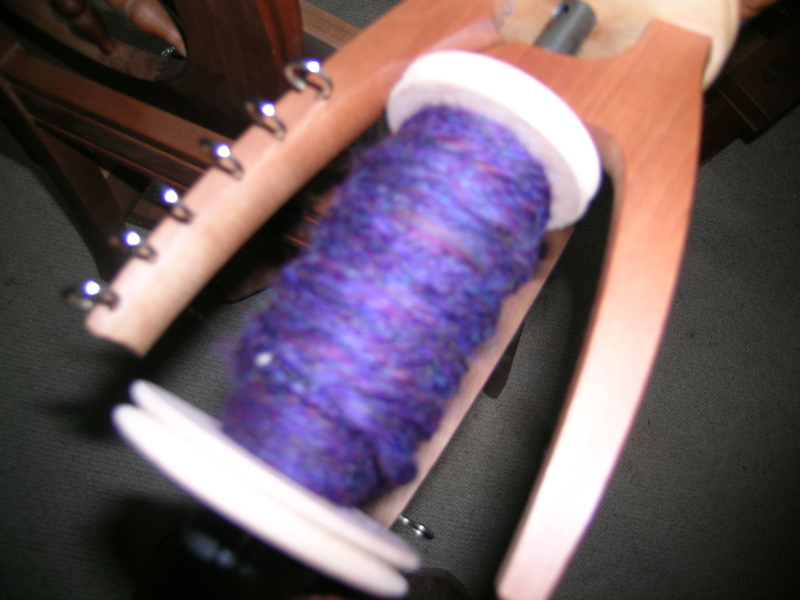 I am finishing up spinning the wool that came with my spinning wheel. It was a hodge-podge of different wools, few labeled. 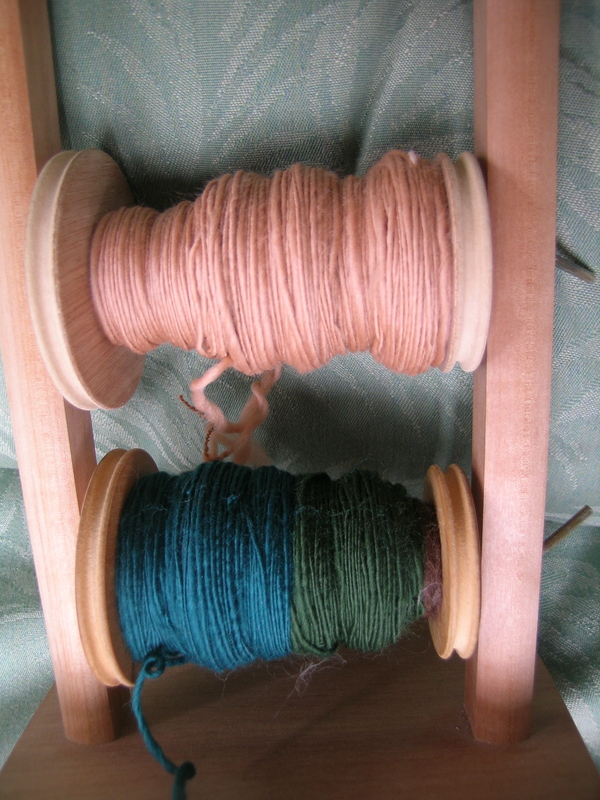 In this photo, the tan-colored (looks more peachy in this photo) is merino, which I had a bit of difficulty spinning. I am getting better. I just need to practice more, and get even plys so that I don’t have the thick and thin look. 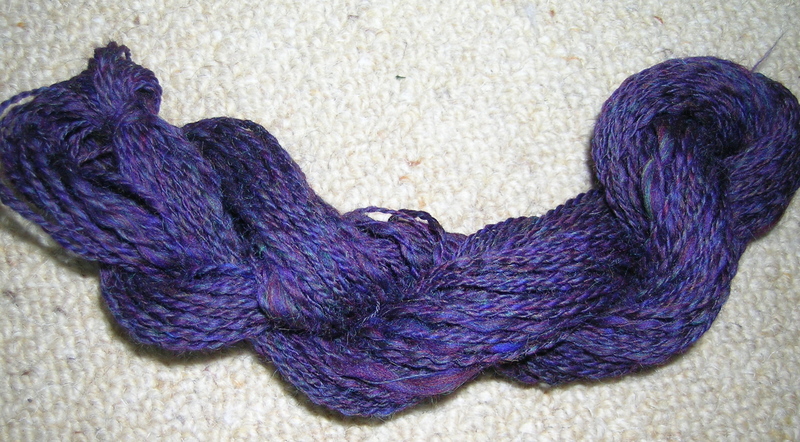 I took this off a bobbin, spun a few weeks ago. Much of it is under-twisted. This time I had a few areas of over-twist. Need to find that happy medium. Next, clean, polish and oil my wheel. Then on to yarn that I actually purchased, and know what it is. I love it! Is that the peach we received at the class? No, I have to find that yarn. This was gifted with my wheel purchase. wow, that is really pretty! I happen to be in the market for some superbulky handspun to make a hat for a friend of a friend, so lemme know if you can part with any? I know you like knititng with the smaller stuff. It’s yours! I would love it if it were used. I will take it! I knit up Ysolda Teague’s Urchin http://www.knitty.com/ISSUEfall07/PATTurchin.html with some homespun homegrown yarn my friend Alison bought it wisconin, and it was really cute. Big needles make it go SO fast, but my hands really hurt after awhile. 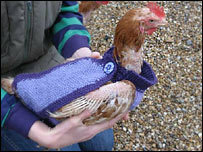 No, not sweaters that I am too scared to knit, but actual sweaters for chickens! My sister sent me this video link a few days ago. I love the retired English ladies and their comments about knitting for chickens. Dan and I have been considering getting backyard chickens. We are going to convert the kids old playhouse into a chicken coop. It just might become the only chicken coop with a stained glass door. This will be our first step towards that farm with Sheep and goats, and of course at least one horse. We have successfully kept our current batch of worms alive, so we are on a roll. I guess I should know how to knit a chicken sweater in case the need ever comes up. Apparently, some chickens can lose their feathers if stressed, or picked on in the coop. This poses a health threat to them, as they are vulnerable to the cold, insects and abrasions. If you are truly interested, here is the pattern. I think that I will keep it for future reference. 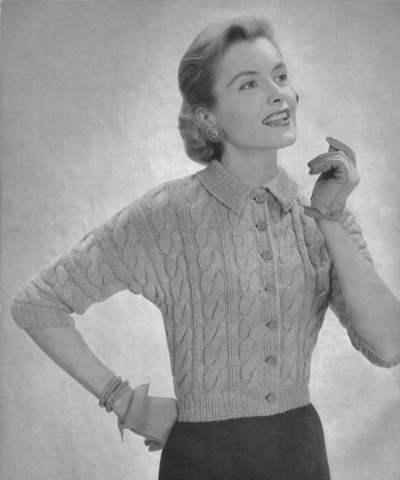 It is good to know that knitting always comes in handy. I have often thought that it is a solution to most problems. I just might be right! 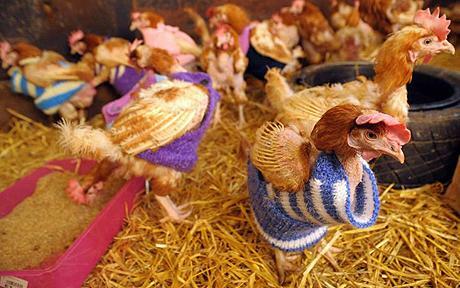 I think in the UK, chicken sweaters are often made for chickens rescued from a horrible life as battery hens in an egg-producing factory – they can go on to be happy free-range chickens in someone’s garden, but need to be kept warm while they grow more feathers. I’m sure your chickens will appreciate your knitting! 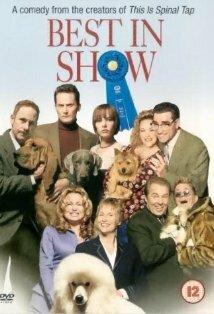 One of my all-time favorite movies is Best in Show, about the Mayflower Kennel dog show.I can watch that movie over and over, and never get tired of laughing at it. If you haven’t seen it, and need just a good hearted laugh, watch the movie. My favorite scene is where the announcer says “Oh my God, that man has 2 left feet”. The characters are hilarious, all from the makers of Waiting for Guffman. And, lest you think that the characterizations in the show are a bit over the top, let me assure you that they are not that exagerated. My son used to take Lloyd to agility class, and when he was 12 wanted to go to the New Years Eve Party with all of his classmates (ages 60 and over), and of course their dogs. 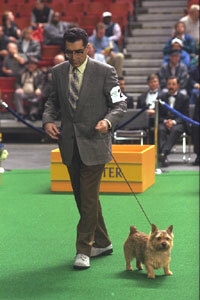 I had warned my husband that the food would be great, but that Best of Show was not exactly fiction. It was one of those nights that I will always remember, mostly for the visuals and characters. 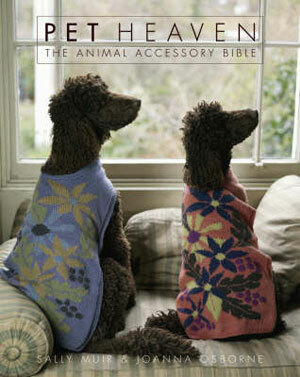 It is a collection of knitted dogs! All from knitwear designers Muir and Osborn. 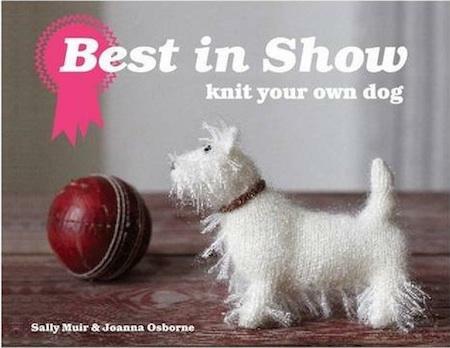 And there is even a book, Best in Show: Knit Your Own Dog ($16.76 at Amazon) with patterns for a variety of hand-knit dogs. They have limited edition kits available, and will also do a custom portraiture of your dog if you like. This book will definately be on my Christmas list. 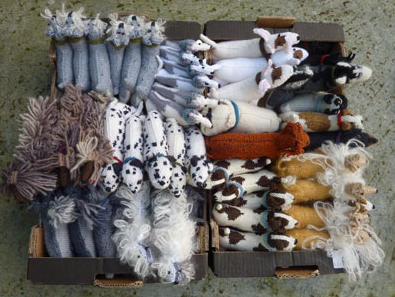 How can one resist these boxes of knitted dogs? And, in case you need accessories for any of your pets, from poodles to hamsters, cats, horses, pigs, goldfish, budgies, dogs, tortoises and more; this would be the book for you.